What's preferable to a plaster-cast on your broken arm? 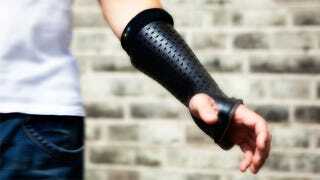 Well, obviously an unbroken arm, but if you don't have that option this high-tech orthopaedic cast is next in line. It uses electromyographic sensors so doctors can monitor muscles from afar.